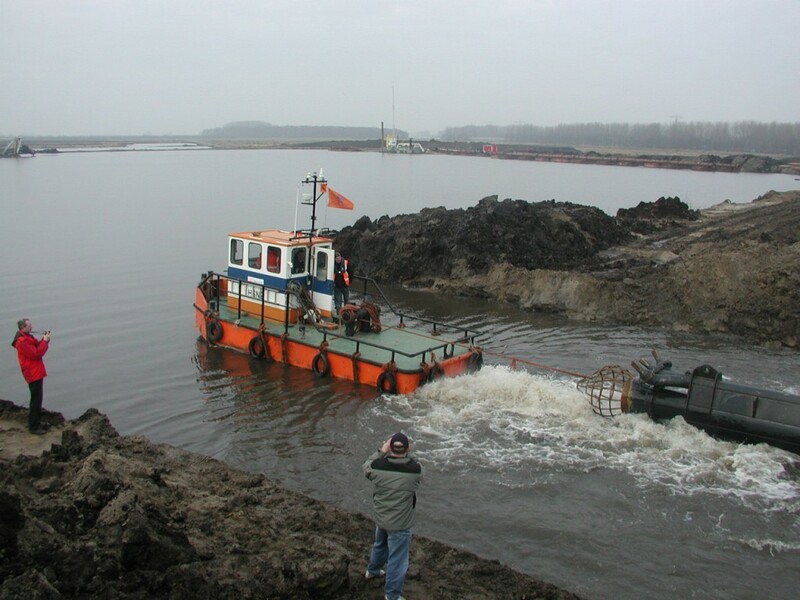 We have been building Steel and Aluminium work boats and landing craft for many years. Since 2006 we have concentrated on construction in Marine Grade 5083 aluminium plate, and invested in the most up to date welding procedures and equipment. All the vessels are designed by Bruce Roberts Europe BV and meet all the design criteria required by the various Classification Societies and the MCA. We are also accredited by Bruce Roberts Europe BV as a recognized constructor of their various vessel designs. 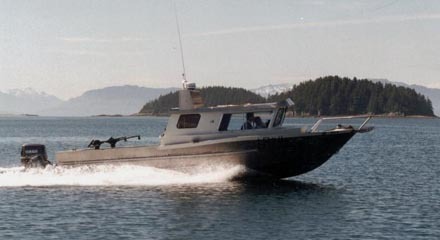 Aluminium is without doubt the most well reputed material for the construction of robust work boats. A relatively large craft built from aluminium will be lighter and stronger than if it is built from fibre-glass. Marine grade aluminium has such high impact resistance, that a vessel built to good ship building practice can withstand a collision that would seriously damage a fibreglass craft. Marine grade aluminium also has excellent corrosion resistance – in most cases aluminium boats will last up to fifty years in the harsh saltwater environment. Aluminium is by far the lowest maintenance material that could be used for boat manufacturing. Aluminium does not rust or rot. Residual values for aluminium boats are high, making overall cost of ownership low. Aluminium has higher yield strength than steel. It takes a force of around 30,000psi or 207mMPa to bend steel to a point where it will not spring back into shape when released. This is known as yield strength. 5 Series Aluminium alloys will not yield until subjected to about 39,000 psi or 275 MPs, so roughly 30% stronger than steel. A typical fibre glass hull by comparison is fairly brittle and will crack before flexing significantly. Practically speaking this means that aluminium will be able to withstand collisions that would dent the same boat made of steel and write off the same boat made of fibre glass. Aluminium is only around 35% the weight of steel. This means that given a weight constraint, we can afford to use about three times more material in an aluminium boat than in steel, allowing us to use thicker shell plating, bulkheads, frames and decking. 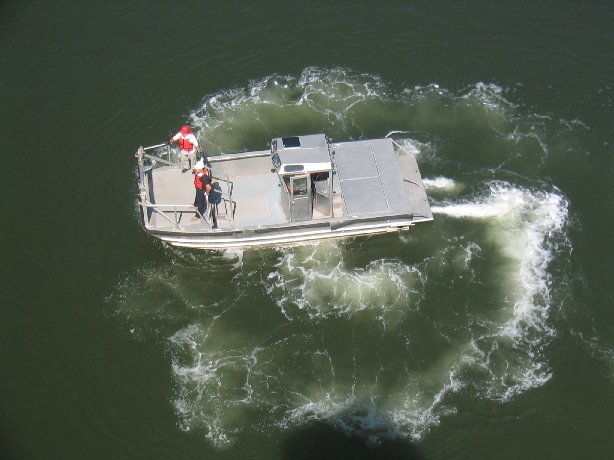 A lighter vessel is easier to launch and recover by road trailer and typically requires half the engine horse power to match the performance of a similarly sized fibreglass boat. 5083 marine grade aluminium alloy is preferred for marine applications because of its strength and resistance to salt water. It has the highest strength of the non-heat treatable aluminium alloys and retains exceptional strength after welding. Marine grade 5083 has a working life of around 100 years. Aluminium corrodes differently to steel. Unprotected steel will rust when it comes into contact with oxygen and water and the resulting layer of corrosion is still permeable, meaning the material can rust right through if unchecked and untreated. Unlike steel, when aluminium corrodes the resulting layer of oxidation is airtight and rock hard, keeping the material underneath very highly protected. Even scrapes and scratches will form their own protective coat over time. This is why we recommend that the hull is not painted, and the majority of operators choose not to anti-foul, further reducing maintenance costs and environmental impact. Hull maintenance typically amounts to a cursory visual inspection, regular cleaning and replacement of sacrificial anodes. This will keep the hull looking like new in ten years’ time. Aluminium does not need any protective painting, and as before the majority of operators do not apply anti-foul. This saves the cost of regular rubbing down and repainting. As mentioned above, aluminium boats can operate with smaller engines than similar steel or fibreglass builds, offering a saving on the initial cost of the engine and superior fuel economy. Aluminium vessels have a high resale value thanks to the long life and high durability of the material. At the end of the vessel’s working life, the aluminium can be sold for recycling, also reducing the impact on natural resources. Our range of aluminium vessels lend themselves to tremendous amounts of customisation, unlike fibre glass would require a mould for every permutation of the design. We can start with the basic hull and easily change the length, beam, cabin layout, deck configuration etc to suit customer’s individual requirements. Our CAD system allows us to quickly modify existing hulls to suit customer’s particular needs while minimising costs.